Handmade by Because I'm Me. Mens Independence Day Bow Tie. 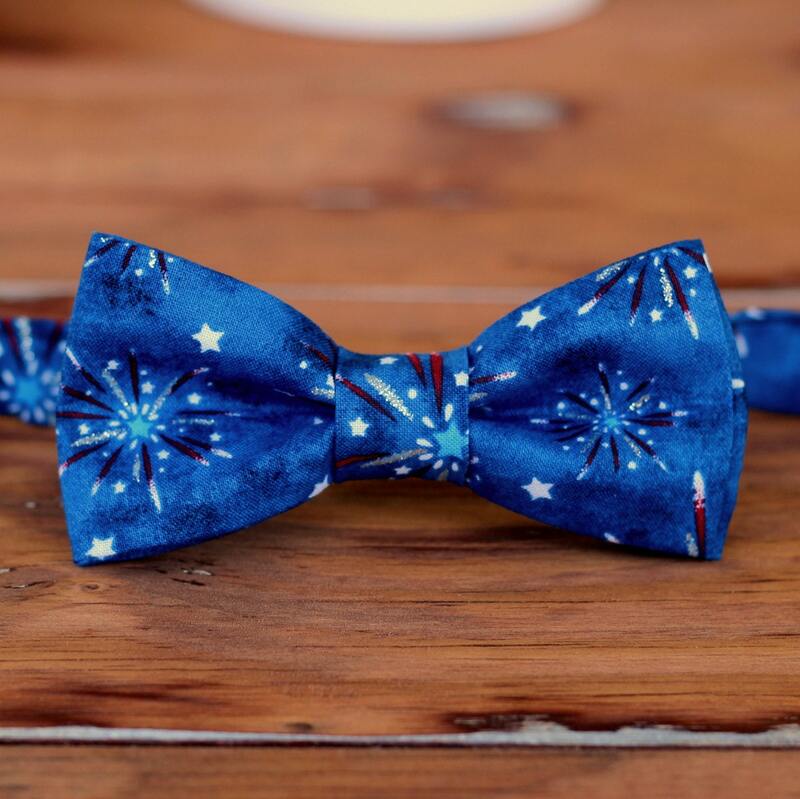 This red, white, blue, and glittery silver fireworks and stars 100% cotton woven bow tie is perfect for your Fourth of July celebrations. The ties are pretied with a full, adjustable neck strap, giving a professional polished appearance. Each tie is made to order, so each will be unique.